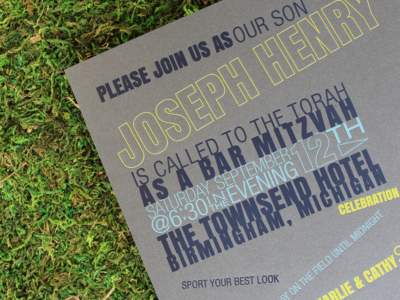 Hailing from Michigan, Joey and his family are not just football fans— they’re sports enthusiasts—so the invitation to his Bar Mitzvah weekend also needed to embody this energy. 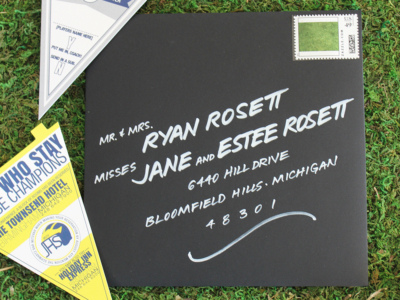 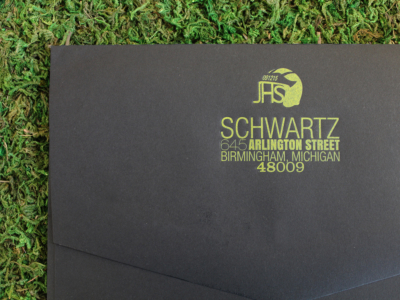 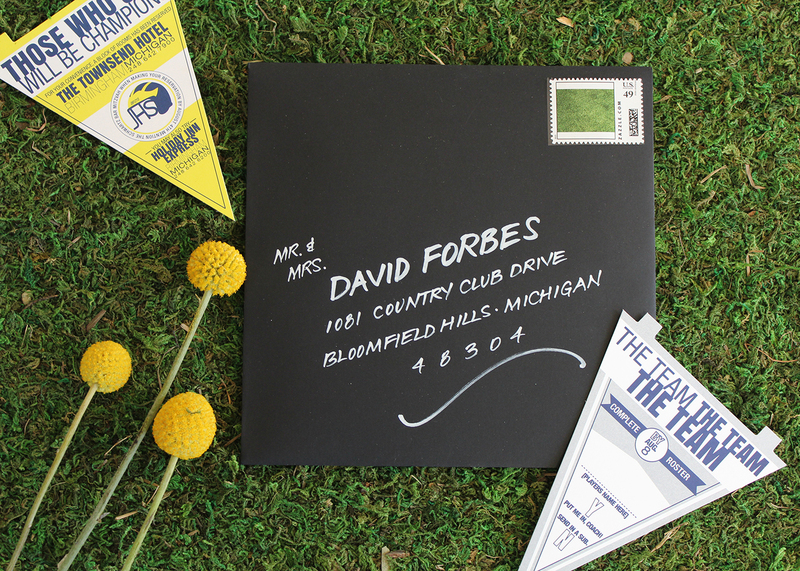 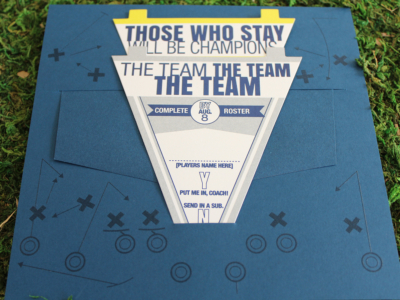 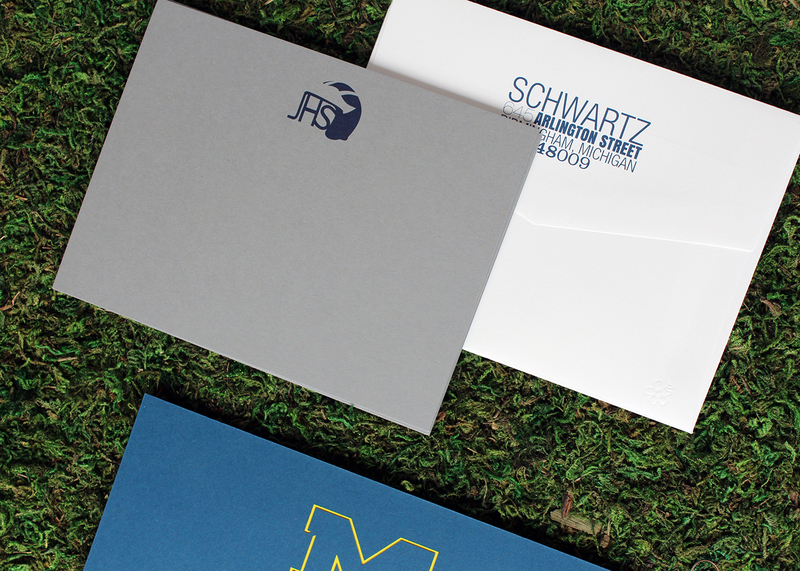 With a game plan in mind, we designed, printed and hand-assembled a custom invitation with a pair of coordinating custom logos— a collegiate letterman-style ‘M Joe Blue,’ and a JHS monogrammed football helmet. 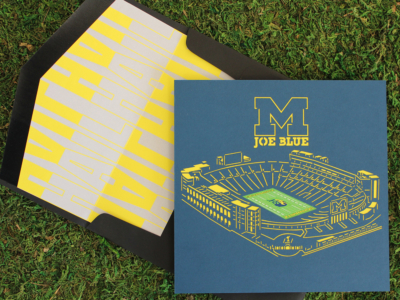 The suite had a competitive edge, too, (we’re talking laser cut stadium!) 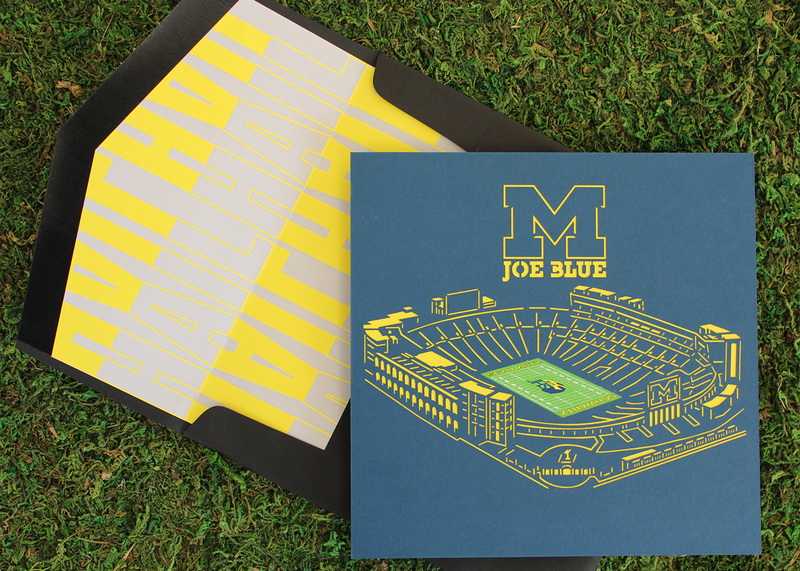 that scored big with Joey and, subsequently, set the scene for a weekend celebration at Michigan’s famed, Townsend Hotel. 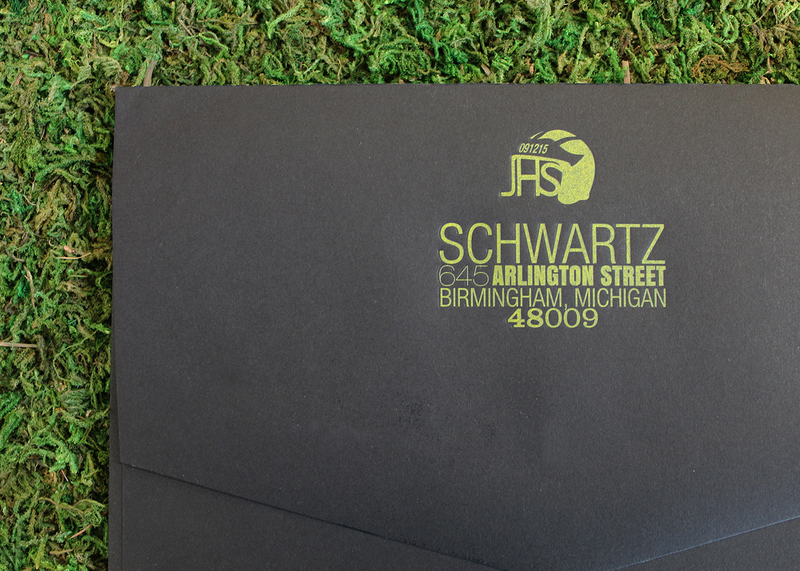 With Michigan State University so close to the family’s home and heart we knew it needed to play a part in the suite. 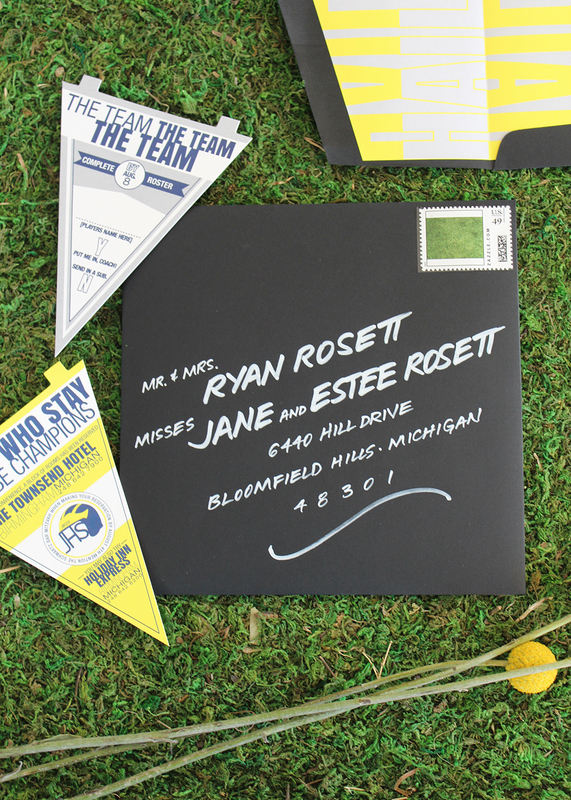 So, we rooted the ensemble’s look in the collegiate styling that Michigan State sports fans adore. 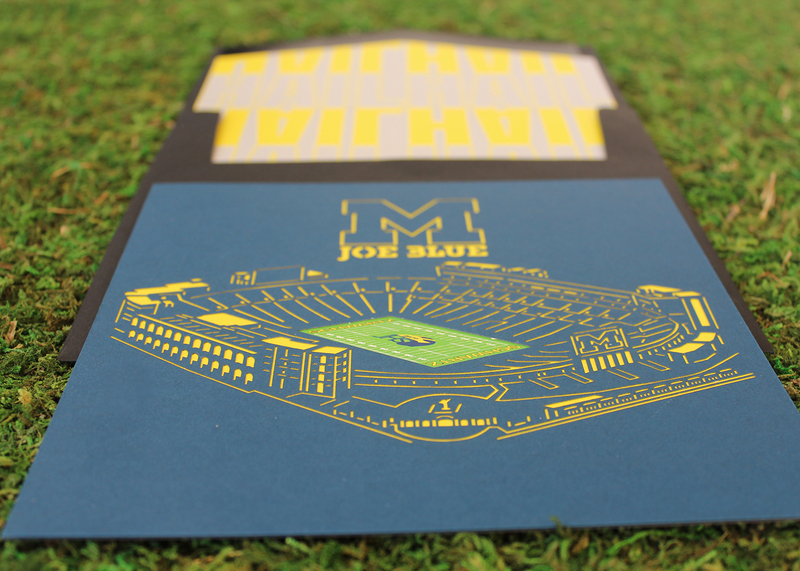 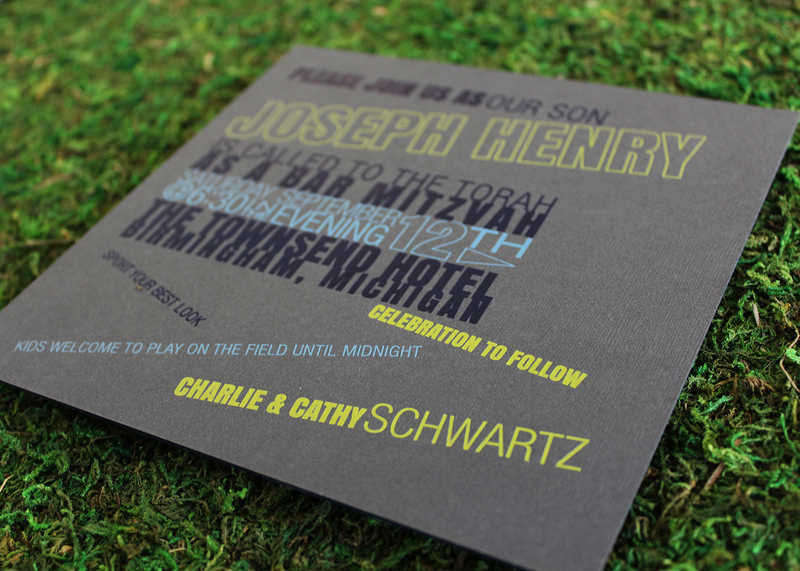 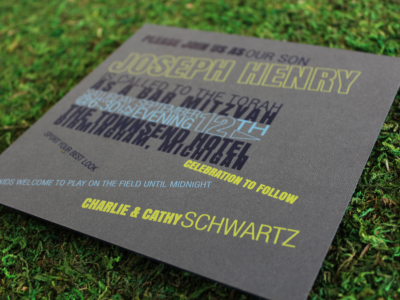 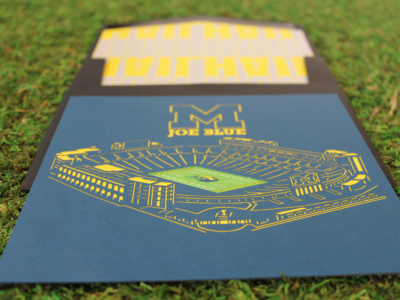 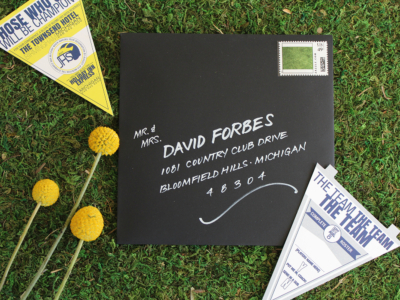 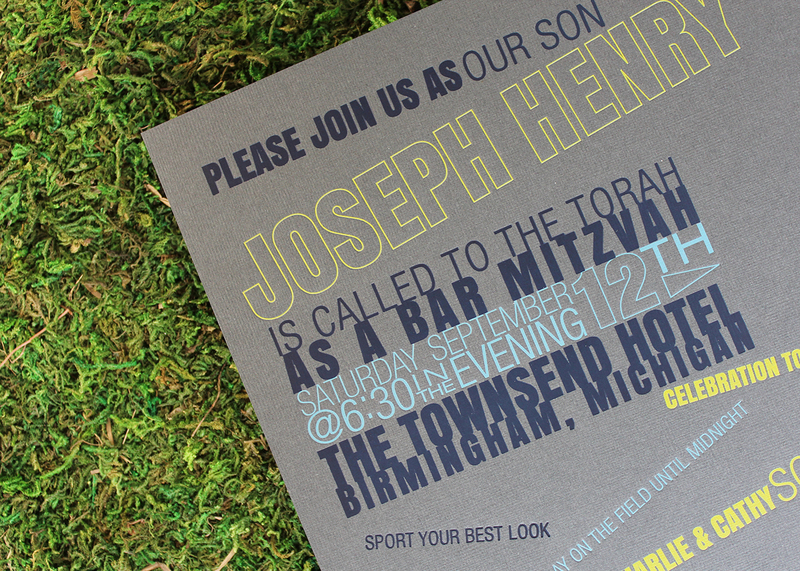 The famed blue and gold school colors served as a springboard for the suite’s palette and even inspired Joey’s Mitzvah mantra “Joe Blue” (a play on “Go Blue.”), which was emblazoned on the invitation front. 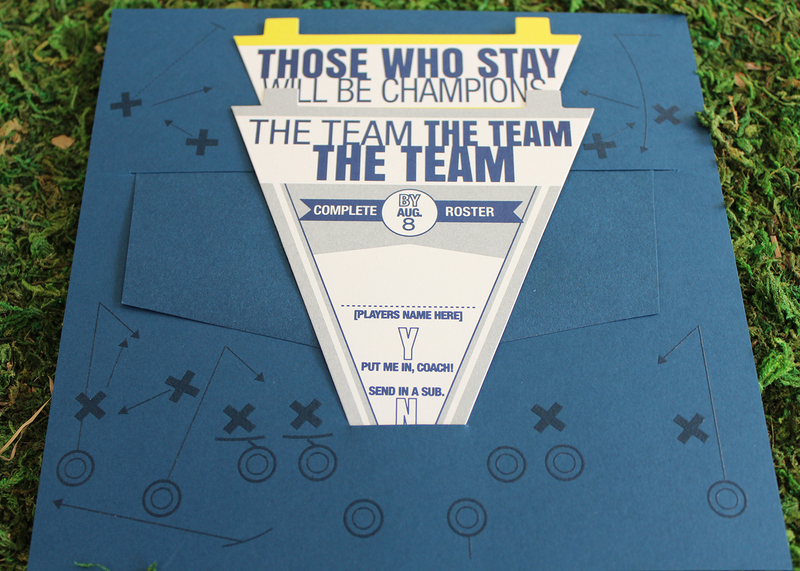 The ‘Hail, Hail’ and other inspirational quotes echoed throughout the suite, also appearing on the reply and response pennants!